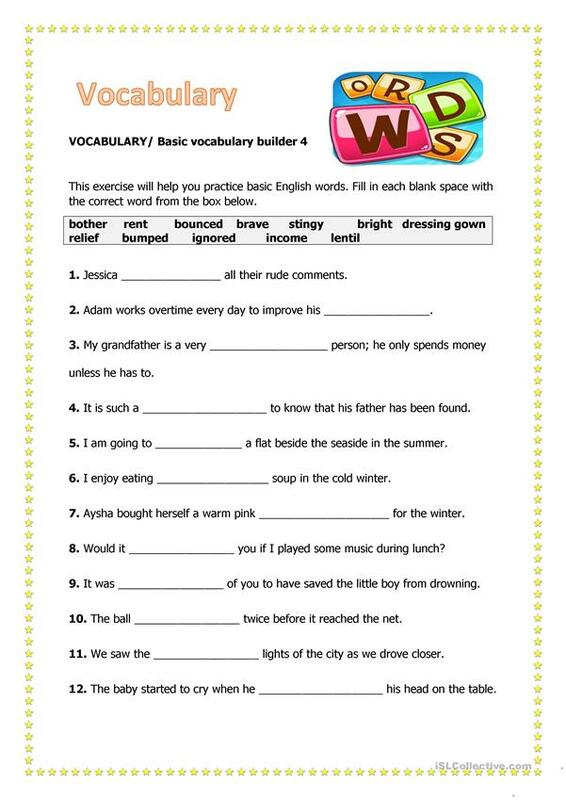 Learners are required to learn new words and then apply them correctly. The above downloadable worksheet is best suited for adults at Elementary (A1) level. It can be used for enhancing your class' Spelling, Reading and Writing skills.